Park View Patio Space to be Revitalized, Reopened as Walter’s | Park View, D.C.
I’ve learned that plans are in the works for the former Park View Patio space at 3632 Georgia Avenue to reopen as a joint venture between DC Reynolds and Looking Glass Lounge. The new place will be named Walter’s, after Walter Johnson, a right handed pitcher who played his entire 21-year baseball career for the Washington Senators (1907–1927). He later served as manager of the Senators from 1929 through 1932 and for the Cleveland Indians from 1933 through 1935. Walter Johnson on a 1909–1911 American Tobacco Company baseball card. As one might expect with a bar named after Johnson, the place will have a sports bar emphasis. One of the problems with the prior Park View Patio, and the Blue Banana before that, was that it was a watering hole in need of an identity. Food is definitely planned to be a part of the new venture, and while it hasn’t bee worked out yet will exceed anything offered by the former Blue Banana. Another small detail includes a reduction in the size of the patio from what the Park View Patio had, with the goal of making it more kid and family friendly. If the popularity of DC Reynolds and Looking Glass Lounge is any indications, Walter’s will turn out to be another popular venue in Park View’s growing array of eateries and taverns. This entry was posted on May 9, 2015 at 1:49 pm and is filed under Bars, Development. You can subscribe via RSS 2.0 feed to this post's comments. Petworth/Parkview needed a solid sports bar. You need rock solid bar food – nothing fancy, but quality (fresh) sport bar food staples. I still miss the wings from Duffys. TV’s everywhere and all the sports packages so you can get all the NFL, NBA, MLB and NHL games. Good luck! I’ll be there for sure. 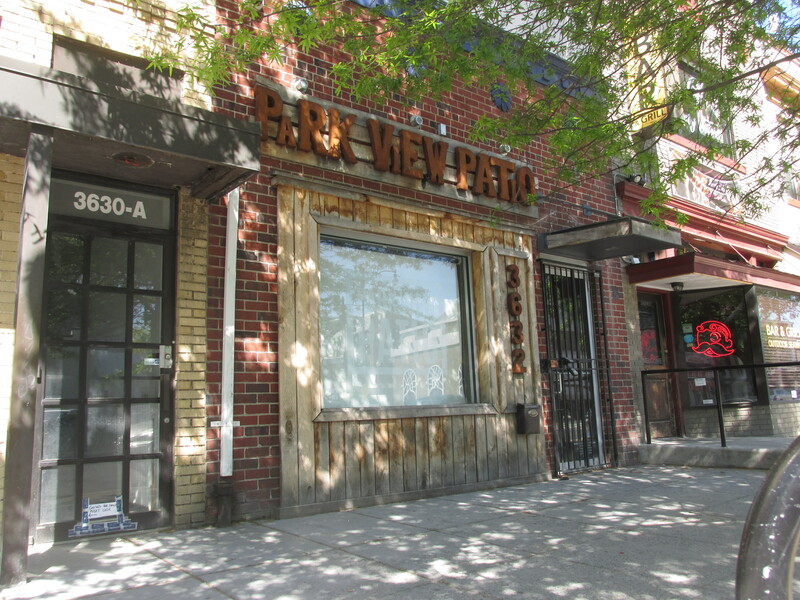 Great news for Park View, can’t wait to see what the combined effort of these two solid establishments brings! It is peculiar how Park View becomes Petworth to Dan Silverman when something good is happening in our neighborhood, but if it’s crime related it’s no longer Petworth but Park View. I heard due to the recent condo and restaurant/bar openings, Pleasant Plains is now being referred to as Southern Lower Petworth in your blog. Northern Shaw you are now on alert!